"Knowing Is Not the Way," Gateless Gate, #34. Nanquan (748 - 835, 9th generation, Hongzhou) was a disciple of Mazu and the teacher of Zhaozhou (778-897). Nanquan said, "Mind is not Buddha; knowing is not the Way [Dao]." It should be said of Nanquan that he has grown old and knows no shame. Just opening his stinking mouth he exposed the disgrace of his own household. There are very few, however, who are grateful for his kindness. Zhaozhou asked Nanquan, "'Mind is not Buddha; knowing is not the Dao.' Is this faulty?" Nanquan said, "Yes, it is." Zhaozhou said, "Where does the fault lie? Please, Master, tell me." Nanquan said, "Mind is not Buddha; knowing is not the Dao." There is only the One Mind and not a particle of anything else on which to lay hold, for this Mind is the Buddha. If you students of the Way do not awaken to this Mind substance, you will overlay Mind with conceptual thought, you will seek the Buddha outside yourselves, and you will remain attached to forms, pious practices and so on, all of which are harmful and not at all the way to supreme knowledge. The Way is the Great Way without obstacles; subtle action free from passion is inherently complete. Only thus do you attain freedom in all domains of activity. Therefore we speak of acting without attachment to objects in all domains of activity, and we also refer to absorption in unlimited action, manifesting physical forms everywhere. Just because it is unknown to others, this function has no tracks and does not belong to the realms of perception or cognition. Truth is realized spontaneously, subtle functions are fulfilled spontaneously. The Great Way is formless, truth is beyond comparison. Therefore they do not belong to perception or cognition. Mind is no other than mountains, rivers, and the great wide Earth, the sun and the moon and the stars. At just this moment, what is it that appears directly in front of you? When we say "mountains, rivers, and Earth" we do not merely mean the mountains, rivers, and Earth where you are standing. There are various kinds of mountains such as Great Sumeru and Small Sumeru; some mountains extend widely, so rise up steeply. A billion worlds and innumerable lands can be found in a mountain. There are mountains suspended in form; there are mountains suspended in emptiness. Mind, Buddha, wisdom, the Dao -- all these are briars, faulty expressions that can lead us astray, yet eminently useful in guiding us if we are prepared for them. Most of us aren't ready, unfortunately, so even the best of the old teachers created confusion. Mind is not Buddha, but Buddha or anything else comes forth as essential mind itself. Buddha is mind, Buddha is not mind, mind is not mind, Buddha is not Buddha. What is going on here? Each of these answers is appropriate to the moment, but they do not differ basically from one another. Buddha did not teach the truth, but the way to the truth. He said when one has reached the other shore then this teaching should be abandoned. 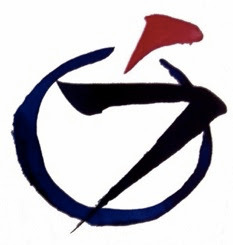 Nanquan's "Mind is not Buddha; knowing is not the Way" is Zhaozhou's "Mu!" Nanquan means that mind is not what you think it is; the Buddha is not as you think him to be. This is another version of Mazu's "No mind, no Buddha." Mazu was Nanquan's teach and they developed a similar way of thinking. Nanquan elsewhere says that when a Buddha appears, words come into existence, and consequently we become attached to them. Nanquan once said, "The Great Way knows no wise or foolish person, no saint or sinner." Therefore, wisdom cannot cover the Way, and knowledge and reason fall short of the Way. Do you remember what Buddha said in the Diamond Sutra? He said, "A bodhisattva who retains the thought of an ego, a person, a being, or a soul is no more a bodhisattva." This case shows the true path of a bodhisattva: "Mind is not Buddha. Wisdom is not the Path." This mind is Buddha and no other, but one who clings to words and postulates an idea of it is far away from the Path. If you meditate on emptiness, you can never empty your mind. If you aim to enter samadhi, you will never reach it. Buddhist wisdom comes directly from one's own buddha-nature. It is not like so-called knowledge, which is merely the psychological result of human experiences. We Buddhists do not discourage ourselves from learning things and accumulating knowledge. We can have as much worldly knowledge as we need, in dealing with the world in a dualistic way. We do not forget, howerver, that we have our own home which is, from the first, perfect and self-sufficient. Though these are very important terms for expressing the fundamental Truth of Zen, such words as "mind," "Buddha," "wisdom," and "Dao" are only names temporarily give to the "ever unnameable 'it.'" An old Zen Master therefore warns us, "Be sure to detach yourself from all your clingings. Be sure not to attach yourself to nonclinging either. Names and words are nothing but the result of discriminating intellection. The Truth has been revealed in full in its as-it-is-ness in the past, and so it is revealed in its as-it-is-ness. When you live the Truth as it is, your True Self works freely; it is the peace and freedom of the one who has transcended the distinction of subject and object, yes and no. "Mind is not Buddha; wisdom is not Dao," is the statement flowing out of Master Nanquan's great compassion. When Nanquan was asked by Zhaozhou "What is the Way?" Nanquan replied, "The ordinary mind is the Way" (Gateless Gate #19). When asked by a monk, "What is the truth that has not been preached?" Nanquan answered, "This is not mind; this is not Buddha; this is not a thing" (Gateless Gate #27). Nanquan's teacher, Mazu, was asked by a monk, "What is Buddha?" and the reply was, "No mind, no Buddha" (Gateless Gate #33). When Nanquan says, "Mind is not Buddha; knowing is not the Way," he is trying to exterminate the delusive pictures in our brain which are attached to the fact. From the essential point of view, when we say "Buddha," the whole universe is Buddha. Nothing remains outside of Buddha. When we say "mind," the whole universe is mind. Nothing remains outside of it. It is the same with "knowing" and "Way." From the Zen point of view, the words Buddha, mind, knowing, and Way are nothing other than Mu, the sound of one hand clapping, just sitting or counting breaths. Not a one of them is another. Mind is only mind. Buddha is only Buddha. This is only this. So how could you be somewhere else?